Stress and anxiety are commonplace these days. From morning til night we are all subject to events and people that trigger us. It is not possible in our modern world to avoid stress, but we can choose to cope with it in a way that allows us to remain in control so we don’t become overwhelmed. If you feel like stress is controlling you, then hypnotherapy for stress can help you. Just like other problems that can be overcome by the use of hypnosis, anxiety can be caused by external events and people that we perceive as threatening. It does not matter whether the threat is real or not, because our brain does not distinguish between what we imagine and what we actually see. So when you feel stressed by an overdue assignment, your boss’ demands or your kids’ temper, your brain will react just the same way our ancestors would have reacted if a lion were in front of them ready to attack. The idea behind hypnotherapy for anxiety is to help you become aware of your stress buttons as they get triggered so that instead of reacting automatically or trying to push your real feelings under the carpet you can choose to find better ways to deal with the situation at hand. Sometimes reactions can escalate to cause full blown panic attacks. Anxiety is always behind such attacks. Again, whether you have been diagnosed with anxiety disorder or you have only experienced one panic attack in your life hypnosis can help you cope with your anxious feelings and find balance in your life once again. This is done by using techniques that will allow you to pinpoint the panic attack trigger and any other subconscious causes that may have contributed to the onset of an attack. Anxiety therapy will always involve, alongside other techniques such as regression, parts therapy or transforming therapy, training in specific breathing techniques that make it impossible for you to experience another panic attack. In addition, anxiety counselling might be necessary for you to deal with the feelings associated with such attacks. Cognitive behavioral therapy for anxiety is another technique used to help people suffering from acute or general anxiety. Hypnosis is an invaluable tool in such cases because it can increase success rates dramatically. Other anxiety symptoms include social anxiety, exam nerves, and performance anxiety. Hypnotherapy can help you control your anxiety quickly, safely and naturally without the use of drugs and as such it is a much better option to using anti-depressants, unless you have been specifically diagnosed with clinical depression by a physician. This is true for both temporary and chronic anxiety. Hypnosis can allow you to see things from another perspective so instead of getting upset you learn how to deal with your emotions positively. 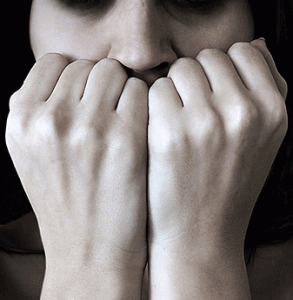 It is fast becoming common knowledge that hypnosis for anxiety is very successful. Using the power of your subconscious is at the heart of hypnotherapy. Anxiety doesn’t have to be a crippling condition to be endured for the rest of your life. As long as you are willing to collaborate with the hypnotherapist you will be able to learn how to release yourself from the constant fear of fear that has limited you so far. There is no better time than now to do something about it. Contact me today to learn new ways of being in control of your mind and emotions, or call me on 075 44247800. Here you can find useful tips on how to help yourself cope with anxiety now. Find out more about how to combat social anxiety and shyness here. Find out more about how to overcome your fear of public speaking with hypnosis here.